It can get hot here in summer. 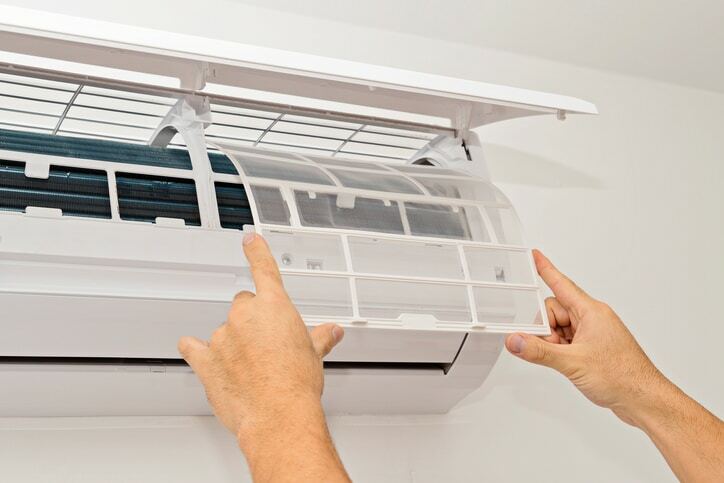 If you are considering air conditioning installation, Melbourne is a suitable environment. Running the air conditioning during the hotter months of the year can make an electricity bill rapidly increase. However, the alternative is not a very attractive option, particularly on those baking hot days of summer. Fortunately, there are a few different things that you are able to do to help reduce the costs associated with running your air conditioning system. It is surprising how much energy is able to flow through a window. Unfortunately, we have been looking to enjoy the benefits of more light in our homes because it makes the place look better and it feels much nicer to have it. This means that we have installed bigger windows, some of them that go from the floor to the ceiling. Now the problem with this is that it also makes it possible for more of that heat that is generated outside on a hot sunny day to flow through the window into your living space. At the same time, it also makes it easier for coolness produced by your air conditioning system to flow out into the summer sun. Using thermal insulated blackout curtains on those hot days will reduce the opportunity for heat transfer to occur through your windows. In addition, if your home has old windows, then there is a good chance that they are not going to be very energy efficient. And if they are really old, then they may not be very well sealed. This means that hot air is able to flow easily into the house and the cold air can flow out through the gaps as well. Taking some time to caulk up any leaks or cracks that you have around the glass of your window is good maintenance and will improve the life of your windows. Fixing up cracks in the wood that has occurred as a result of weather damage can reduce problems. If the window no longer fits properly into the frame and is not closing properly, it may need to be resealed or it might simply be that it needs old paint stripped off that is causing the problems. If you are thinking of replacing your old windows, then look for a solution that will be energy efficient. There might be an additional upfront cost, but as you would appreciate, the cost of electricity is going up, so any saving you are able to make on reducing your cooling or heating costs is going to have substantial long-term benefits with lower bills. If it is hot outside, then cooking in an oven or cooking on your stovetop is going to add substantially to the heat in your house. This means that your air conditioning system is going to have to work even harder to keep the temperature down. It might be worth thinking about having cooler meals such as salads with cold meats or do your cooking outside on the barbecue. Gas barbecues are very versatile and there is a wide range of dishes that you are able to make. You can grill many different kinds of meats and seafood as well as vegetables. You can fry meats on a griddle plate or if you have a wok burner then cook up a stir-fry. You are even able to cook roasts. If you do want to cook inside, then consider using a slow cooker, which will produce lower levels of heat. You will still have a delicious cooked meal, but less intense heat will be given off. It is important to clean the filters in your air conditioning system. This will have a substantial effect on the performance. In addition, it is a good idea to have your units serviced once a year by a qualified and skilled air conditioning equipment specialist. They will be able to ensure that your system will be performing at optimal levels and that you are not having any problems that could be reducing the effectiveness of your system. They may even be able to help you with some suggestions about how to improve the efficiency of your system, such as programmable thermostats. With air conditioning installation, Melbourne has many providers who will be able to assist you with service contracts as well. You may not need to reduce the temperature on your thermostat to make you feel cooler. A ceiling fan, or even a pedestal fan, is able to increase the movement of air in a room that will help make it feel cooler. 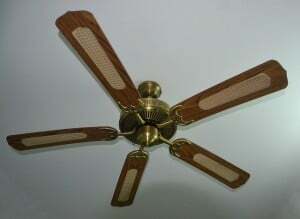 You can also consider using a ceiling fan rather turning on your air conditioner on a day when it is not so hot. This will be particularly relevant in the evening when the air temperature starts to drop. The movement of air in the room will help make it feel much cooler. You are even able to purchase smart fans now that you can connect to through an app. It is a good idea to set the thermostat at a temperature that makes it bearable for you. It is not necessary to have the temperature so low that you need to wear a couple of layers to keep you comfortable. You do not have to have it so low that you do not break into a sweat when you exercise. You can have the temperature at the level where you are able to just feel comfortable. This will substantially reduce the amount of electricity you use. There are also smart programmable thermostats that you can use to help you reduce the amount of power consumed. There is a range of these devices that are able to help you manage your air conditioner during the day and you are able to set times when it will be turned on and off or the temperature adjusted. If you are considering air conditioning installation, Advance Heating & Cooling have skilled and qualified professionals who will be able to ensure you receive quality assistance. Take advantage of the services that are available and also the advice we are able to provide you on the best equipment to meet your needs, which will provide you with efficient and affordable cooling during summer. Contact us today by calling (03) 9310 1990 to request a quote.